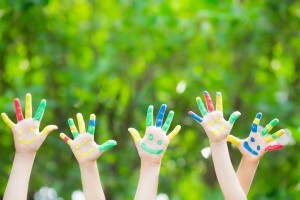 It is a widely accepted principle that children learn best through discovery and free play. Such play should be active, spontaneous and involve the whole child, including his or her emotions, intellect, senses and motor skills. If this is the type of recreational environment you want for your child, there are several tips you should follow when designing a kid friendly outdoor living space. The following outdoor tips will help you make the best choices when creating a suitable children’s living space on your property. Children’s Preferences: Studies show that if youngsters could design their own outdoor areas, their creations would be entirely different from those designed for them by most adults. This is because children display the highest levels of engagement in their surroundings in outdoor areas or playgrounds that combine natural design with manufactured equipment. Therefore, you should not forget landscaping when creating such an area. Multipurpose Open Spaces: In an outdoor play space, youngsters can participate in a broad range of physical activities that enhance their motor skills, such as jumping, running, rolling or crawling. With equipment such as beanbags, balls, hoops and similar objects, children will have the flexibility they need when engaging in outdoor play. Additionally, a surrounding landscape that is colorful and attractive in a natural way, such as areas containing flowers or small trees, will boost children’s creative tendencies. An outdoor play space could even include a simple stage where children can dress up and play roles or indulge in other creative activities. Additional Outdoor Tips: All the equipment and materials in the play area must be age appropriate to ensure maximum skill development as well as the safety of each child. Common sense regarding safety is essential, and the level of adult supervision of such areas should be based on the children’s ages. Design of a children’s outdoor area is very important to ensure the space is used to its best advantage and all items should have a natural flow, rather than being placed haphazardly. If you want your children and their friends to have a safe, luxurious place to play, call us for a free estimate. We use professional designs coupled with high quality materials. We are able to turn your dreams into reality. As summertime nears, another school year is coming to an end. Many parents of seniors are beginning to plan high school graduation parties. Instead of renting an ordinary venue, a much better idea is a backyard celebration. Here are some unique themes and helpful tips that will please guests and make unforgettable memories. Graduation Luau. One great way to celebrate a high school graduation is with a luau party. Thanks to your lush backyard landscaping, it will be easy to stage a luau. Instead of using ordinary stationary invitations, a more creative way to inform guests about the party is to send plastic bottles filed with shells, sand, and a rolled up paper describing the details. During the party, reggae music can be pumped through your outdoor speaker system, and the barbecue will be the center of the action. Burgers, chicken, and fish should fill the grill. Fresh fruits should keep flowing, and the event can be completed with a “Congratulations” pineapple cake. 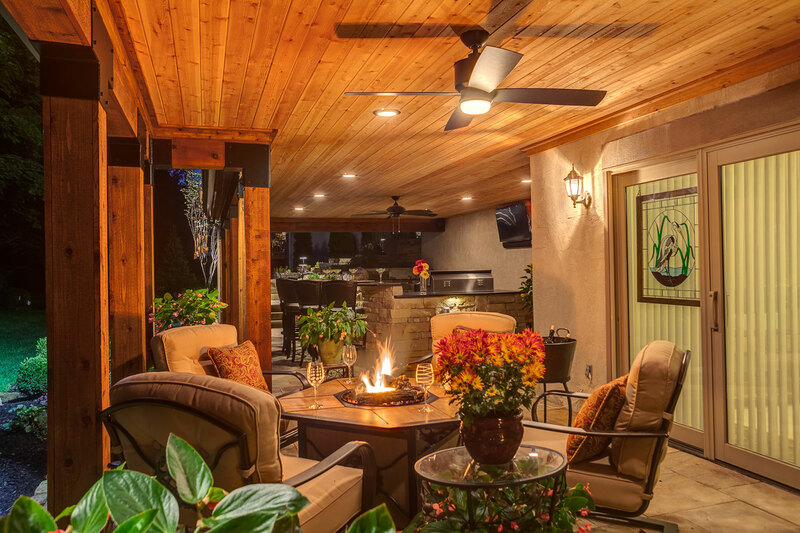 As the evening temperatures cool, guests can warm up around your fire pit. Graduation Pool Party. A pool party is a great theme for teenagers. It requires little planning but is always fun. Dinner can be prepared on the grill. For extra ambiance, a tiki bar would be perfect. One can be easily assembled, or an existing backyard bar can be decorated with straw and lanterns. In the pool, setting up a floating volleyball net will be fun. Numerous beach balls should be inflated as well. Outside the pool, limbo is a great game that gets everyone involved. As the music plays, guests can show how low they can go. Time Capsule Party. High school graduation is a one time event that is remembered for a lifetime. A wonderful way to commemorate this occasion is by creating a time capsule. A simple barbecue cookout can be the setting for a time capsule graduation party. Each guest should bring a high school memento and pictures. During the party, everyone writes messages and future dreams onto paper. All items are placed into an airtight container and buried. Hopefully, everyone returns in a few years to reminisce. The above graduation party themes are just a few ideas to help celebrate the milestone event. The provided tips should help transform your beautiful backyard into a fun party atmosphere. When creating the ultimate outdoor area on your property, don’t forget to include a space that is suitable for backyard games. This can be an area where kids and adults alike will want to spend time when the weather is nice. Here are some tips for how to turn your backyard into a fun place that the whole family can enjoy together. A Shady Spot. In order to be able to enjoy the play area even when it’s sunny and warm outside, you need to provide some shade. If you already have a naturally shady area due to trees, then consider leaving that spot as open space. You could set up any number of fun backyard games in that spot, like horseshoes, croquet, or even a volleyball net. Work with the size of the space, and get creative. Play Structures. If you have young children in the home, adding a play structure is a great way to make use of space. There are a variety of structures that you can choose from, in a range of sizes. With an awesome swing set, sliding board, and even a playhouse right in your own backyard, you won’t need to leave home to keep the kids entertained for hours. A sandbox is another fun option for young children. Kids love forts and playhouses, so consider building one, or setting a pre-made playhouse. You can really get creative when going the DIY route. Creating a fun space just for kids will let their imaginations run wild and give them hours of fun. Versatility. An important backyard tip to keep in mind is that you want to make it a versatile space. 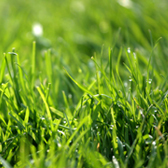 Make a plan for each area of your yard before you begin a makeover project. You can create spots to serve different purposes, such as an entertaining area with seating, a play area with lots of open space, and a dining area with a table. Consider adding a fire pit, which will add warmth on those chilly nights. You can enjoy your outdoor living space with fun backyard games in every season when you include the right elements.